The following sermon for the springtime Feast of the Apparition of the Holy Cross over Jerusalem was found among the archives of Archbishop Tiran Nersoyan (1904-1989) at the Zohrab Center. 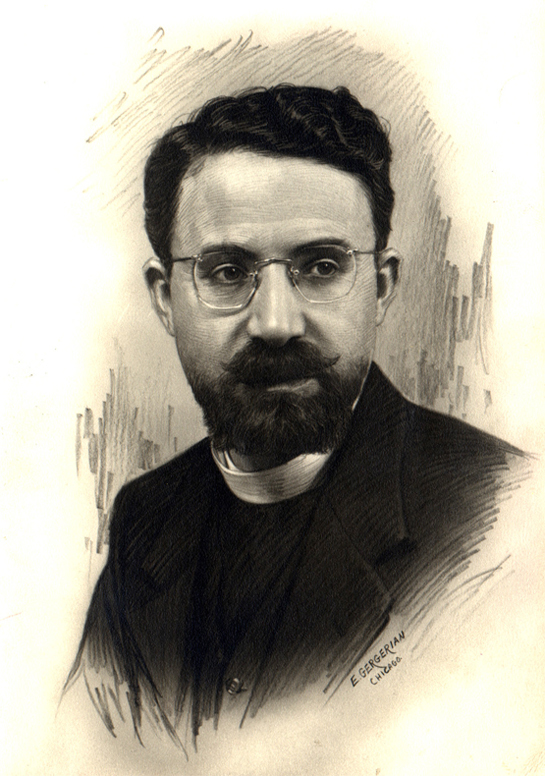 Tiran Srpazan was one of the great Armenian Churchmen and teachers of the twentieth century. He was elected Armenian Patriarch of Jerusalem and served as Primate of the Eastern Diocese of the Armenian Church. He also founded St. Nersess Armenian Seminary. 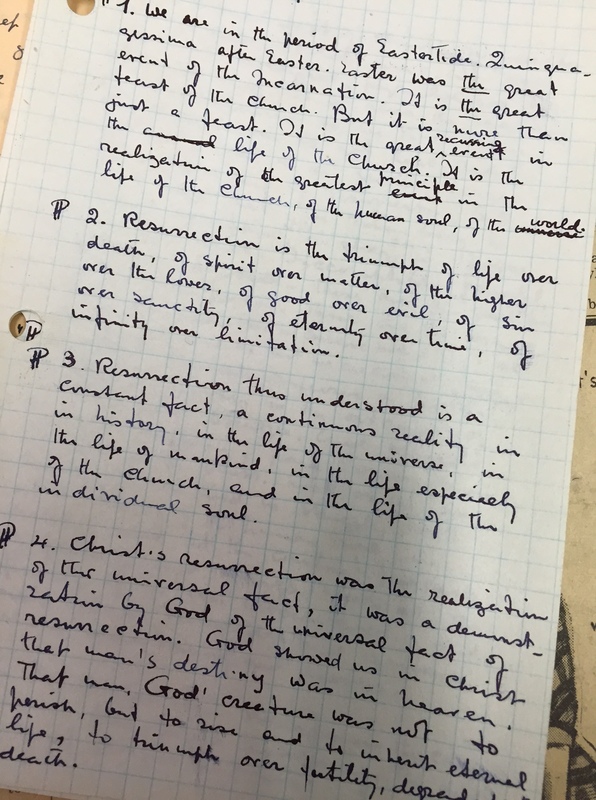 The sermon is written in Nersoyan’s own neat handwriting on five small leaves of paper. Unfortunately neither date nor the place where the sermon was preached is mentioned. We are in the period of Eastertide, the fifty days after Easter. Easter was the great event of the Incarnation. It is the great feast of the Church. But it is more than just a feast. It is the great recurring event in the life of the Church. it is the realization of the greatest principle in the life of the Church, of the human soul, of the world. Resurrection is the triumph of life over death, of spirit over matter, of the higher over the lower, of good over evil, of sanctity over sin, of eternity over time, of infinity over limitation. Resurrection thus understood is a constant fact, a continuous reality in history, in the life of the universe, in the the life of mankind, in the life especially of the Church, and in the life of the individual soul. Christ’s resurrection was the realization of the universal fact. It was a demonstration by God of the universal fact of resurrection. God showed us in Christ that man’s destiny was in heaven. That man, God’s creature, was not to perish, but to rise and to inherit eternal life, to triumph over futility, desperation and death. A large cache of letters, sermons and other papers belonging to Abp. Tiran Nersoyan (†1989) are housed in the Zohrab Information Center and the Archives of the Eastern Diocese of the Armenian Church. The actual fact of Christ’s resurrection was a supernatural event. It does not bear biological, physiological or chemical proof. It is above the realm of these sciences as we know them. But resurrection is not less real for that, real in a special sense. When speaking of resurrection, St. Paul says that the risen body is without corruption. It is in glory. It is in power and it is spiritual. These are the qualities of the risen person. These are the prizes of the triumph. Can we conceive such a thing? We do our best, and the rest we are content to leave in mystery. But triumph supposes a battle, a fight. Victory is the outcome of a successful struggle. And struggle involves suffering, pain, agony, crisis. It means the Cross. Look at the long history of mankind in struggle. Look at the history of the human soul in battle. Look at the constant process of fallings and risings. Look at the ferocity of the war between good and evil, between knowledge and ignorance, between harmony and disorder. But resurrection transfigures this Cross. Triumph transitions this suffering. The end, the result, glorified the means. And this brings us to the meaning of today’s commemoration. Today is the Feast of the Apparition of the Cross. On May 7 in the year 351 the population of the city of Jerusalem beheld the sign of the Cross stretching from Golgotha to the Mount of Olives, just outside of Jerusalem, a distance of about two miles, across the sky, gleaming with intense light. The story is told in the letter of St. Cyril the Bishop of Jerusalem, addressed to the Emperor Constantius. The significance of the apparition is obvious. The Cross that is born for the sake of God’s triumph against the Devil, for the triumph of life against death, is no more a sign of misery and defeat, but an instrument of glory. 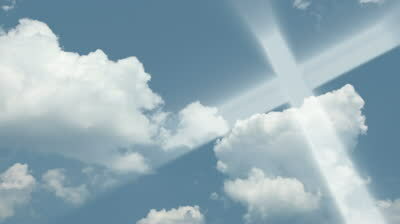 The Cross rises from earth to heaven. It is, as it were, the resurrection of the Cross, the glorification of suffering endured for God’s sake. When we decorate ourselves with crosses of gold and precious stones, when we elevate the Cross and carry it in procession or place it on the altar we show the victory of the Cross. We show suffering and triumph, Cross and Resurrection combined. And a Cross shown like that is entirely different from a crucifix. But then we may ask, What has all this got to do with us now? What has it got to do with the business of making a living, in which we are engaged? It has everything to do with it. Are we not suffering while making a living? Are we not constantly falling and rising? Are we not engaged in a constant fight in this world? Are we not continually troubled in our souls? Don’t we encounter evil at every turn? Don’t we keep on falling day in and day out against all kinds of temptation? What can have more relevance to our daily lives than the same promise of triumph? What can have more to do with us than the assurance of life for us against death? Life of this soul against the death of the body? But victory, triumph, glory, life can be achieved only through power. No one ever fell and then rose again without having the power for it. No one ever fought and won a victory without having the strength for it. So Christ rose from death through his divine power. And that life and power come from God, from above. From God, who dwells in us, who dwells in his Church; who dwells in heaven, who dwells everywhere. And the point in being a Christian is nothing, absolutely nothing but to put ourselves in the condition in which we can receive that power, which is called grace. The Church, as Christ’s body, communicates that power to us through God’s Word, pronounced and proclaimed by the Church, and especially through the sacrament of Holy Communion. Glory be to the risen Christ. Amen.